I was looking for good Photoshop tutorials to help me modify photos I’ve taken to give them a tilt shift effect. I came across this one which was very easy to follow the steps. 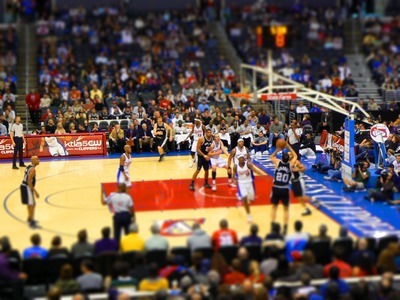 You can see my first result below from a photo I took at a Clippers game. I highly recommend the tutorial if you want to have fun and learn how to give your photos that miniaturizing effect. Visit the photo page on Flickr to view larger size. Thanks for the link to the tutorial. I can’t get enough of the tilt shift effect!